Happy Sunday, y'all! This Memorial Day weekend has been the most relaxing weekend I've had in a while. G is spending some time at his dad's house. David and I did a beast mode house cleaning in a couple of hours yesterday morning, and I've been attached to the recliner ever since. Texas has suddenly found itself at the center of monsoon season, so our weekend is limited to indoor activities. Twist my arm! I've been doing some reading and online shopping in between episodes of The Layover on Netflix. Oh, and napping. Some serious napping. 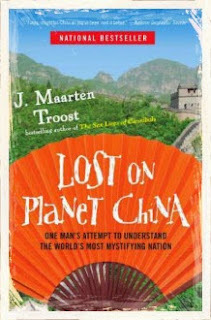 First, I finished off Lost on Planet China by J. Maarten Troost, and as usual Troost doesn't disappoint. He spent a year traveling all over China from the buzzing urban centers to far flung corners. I think I can safely say that if ever have an opportunity to visit China, I hope it's one of the far flung places. I don't do well with crowds, and in the most populous country in the world...LOTS of crowds. Now I'm on to Nimona by Noelle Stevenson. Originally a web comic, this book is so unique and fun. No surprise given Stevenson's history with other quirky comics like Lumberjanes. In this book, Nimona, a young girl and shapeshifter, takes up with the local villain as his sidekick. But there's far more to Nimona that meets the eye, and I haven't quite figured out her backstory just yet. In other news, I've been trying to tame the urge to shop online. 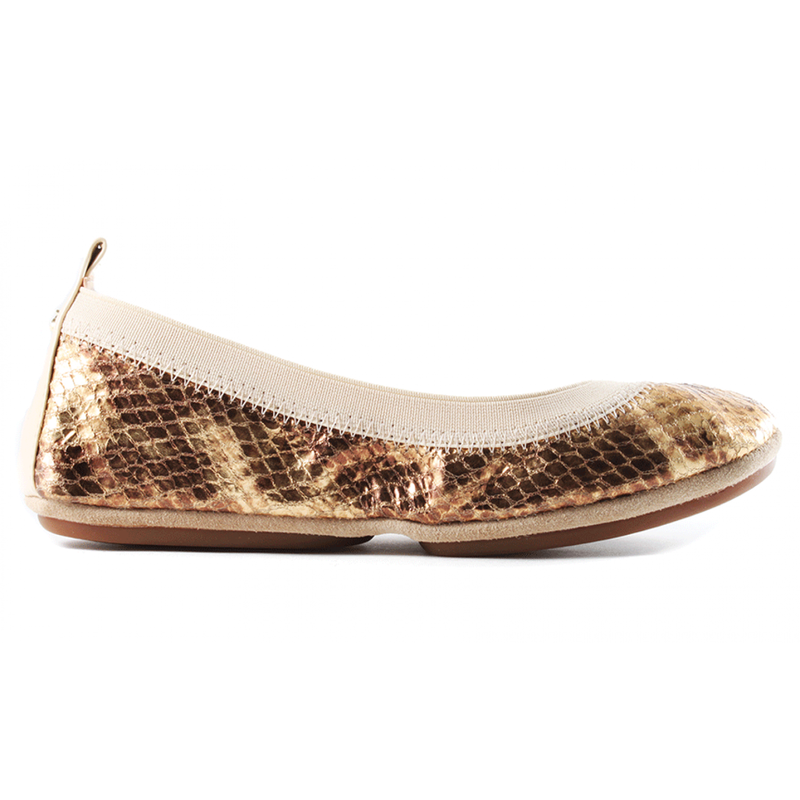 I've officially been bitten by the spring and summer clothes buying bug, and when I saw that select Yosi Samra ballet flats were on sale for 50% off, I snapped up my very first pair. I've been eyeballing this brand for a while now since I have a habit of buying cheap ballet flats that quickly fall apart. I wanted to step up my ballet flat game since I wear these babies to work nearly every day. Of the 50% off pairs, I really wanted the bright red patent ones, but since they were out of stock, I went with the gold metallic stingrays. Sounds fancy, eh? And a little bit gawdy. Just the way I like 'em. It's not monsoon season here and actually is pretty nice, but I got outdoors yesterday and today it's supposed to be in the high 80s (hot for here) so I think I'll be doing, like you, some reading and napping. Reading? Fever of the Bone, the sixth in the Tony Hill and Carol Jordan series, by Val McDermid. At least, that's what I plan...after a nap. Wife is watching The Layover, but I'll probably end up watching my usual diet of CSI: NY and Criminal Minds later here today and tomorrow, I'm sure. It's usually in the 80s here by now, and it has been a few days, but the rain keeps swooping in and cooling things off and flooding things. That's a drag, but I do enjoy the cooler weather. I hope you had a relaxing afternoon, Bryan! Love the golden does. I say go for the scarlet ones, too. Life is short. Girlll, as soon as they get them in stock, I'm all over them. I also found some cute red ones at 6pm.com. Amaaaaazing deals. Thanks! I'm all about comfy. I gave up heels after ankle injuries and a baby. lol I hope you enjoyed your outside reading time! Too wet here for that...one day. OK, are we having the weather or what? Of course, Memorial Day is traditionally a wet time here in Austin, but still...flooding last night in the Hill Country. Rain, rain, rain. And the lakes are up, up, up! Yay! Your weekend sounds perfect. Enjoy! Right??? It's craaaazy! It's amazing to see lakes filling up here after so many years of drought, though. It's quite a relief! Oh gosh, at this point, I would gladly send it your way! It rained a good bit today, but it veered off this afternoon. The forecast looks like lots more next week though. Crazy! 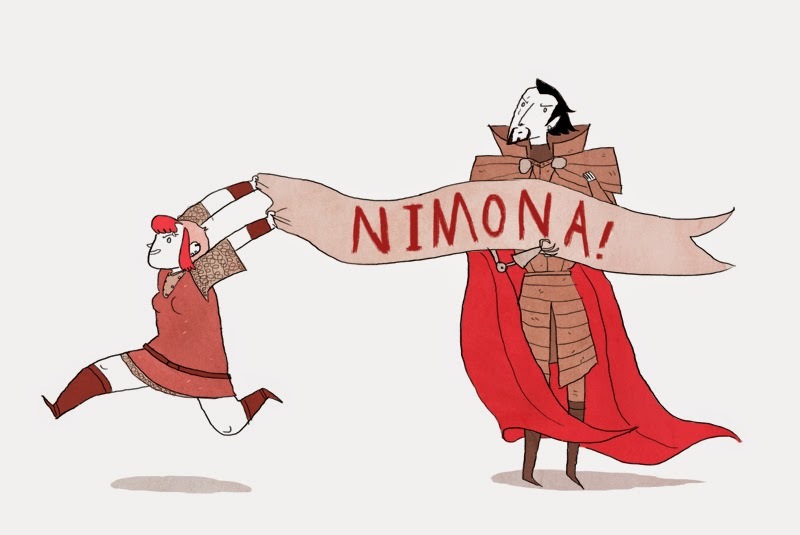 I hope you love Nimona as much as I did! It had some great surprises. I planned today and tomorrow to be rainy days, but it hasn't materialized here yet. We're under a tornado watch, though, so it may get here, yet. I'm a big fan of ballet flats, too -- comfy and fancy is a great combination! Ugh, I hate tornado watches! I hope you all got some nice rain and not too heavy on the thunderstorms. I've never heard of Yosi Samra but just looked at their site and their shoes are adorable! I hardly ever shop online but I'm tempted. They are soooo stinkin' cute! I'll let you know how I like the ones I ordered. Seems like I've been seeing Nimona pop up all over the place all the sudden, so I'm glad to hear it's one you're enjoying. And loving the shoes, too! It's so good and surprising and subversive and playful. Just all the good things. I have not read Troost but his travel books do look entertaining. Sounds like you are having a nice holiday weekend. Us too. We are at the beach in SoCal visiting family. Though it's cool outside -- it's still nice to be here! OH my god, I need to read Nimona. I'm super bummed because apparently Noelle Stevenson was at the comic book store blocks from me this weekend. I messed up! Yes you do! It's wonderfully snarky and subversively amazing. Bummer that you missed Noelle Stevenson! Gah! Yay for relaxing weekends! It's been an AWESOME weekend here as well. I loved having to do nothing but read, read, and read. Bliss. Will be glad to have more weekends like this one. Nimonaaaaaa! I hope you continue to enjoy it, I love the crap out of that book. I thought we were getting hit with ridiculous amounts of rainy days but, dang, you guys are getting hammered! Stay safe and dry! I haven't read any of Troost's books. Since I love travel books and 2 bloggers have now recommended him to me, I must find one to read or listen to. That Troost book sounds fun. Actually, so does the comic. I'll have to check both out! I was visiting my sister in North Carolina on Memorial Day weekend and had a lovely time. We went to a concert with fireworks, the weather was hot but not humid (surprisingly) and I got to spend time with my two-year-old niece, who is adorable. I hope you had a good time despite being stuck indoors. The monsoons sounded fierce.